Balloon Review / Re: Balloon Blast Video Show - Season 5! Paolo Nani is an Italian clown who is based in Denmark and travels all over the world. I loved this Jekyll on Ice show - great fun. And I've seen other of his theatre shows at the London Mime festival - really good work. 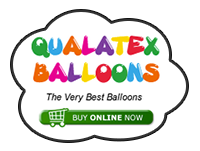 Balloon Chit Chat / 5 million balloons a day! Here is a great article on Oswald Loewy, Chief Executive of Sempertex. Its interesting reading even if you don't use the brand. Events. Balloon, Magic, Etc / Re: Advice for my first stall at a local event please! Get any balloons with Cars on, either prints or foils! Make sure you do a column or arch to decorate your stand, show what else you can do and attract people to your stall.Give out a flyer/biz card to everyone who purchases, and everyone who comes to your stall for a look. Chat to people and tell them what you do that is not on sale that day. 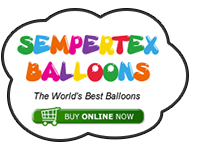 Have a mixture of air filled and helium filled and a variety of prices for every pocket. You might want to consider candy cups with mini foils on top - sweets & balloon sell! Just a few ideas - I hope this helps! Events. Balloon, Magic, Etc / Twist & Shout 2018 - Las Vegas!!! "....I also wanted to give the rest of you all a heads up, That the Early bird registration price of $375 is still in effect, and will be till 11/23/17. After that the price goes up to $425. I will be out of the office from Mid November till the end of the year, and will be back beginning of January." Nice advert and good balloon dogs - well done David! Balloon Chit Chat / Re: What does your base level bag consist of? I love 350Q's as you can upsize any model you can do in 260Q's to 350Q's easily and its a lot more impressive. A huge thank you to Graham, Lyn, Linda and Bob for another two cracking days of balloon tuition. Balloon Review / Balloon Blast Video Show - Season 5! I like them - I like the second better, you could add golden rod slippers? Or blue? There is the gap at the bottom of the dress that shoes might fit nicely and complete the outfit!